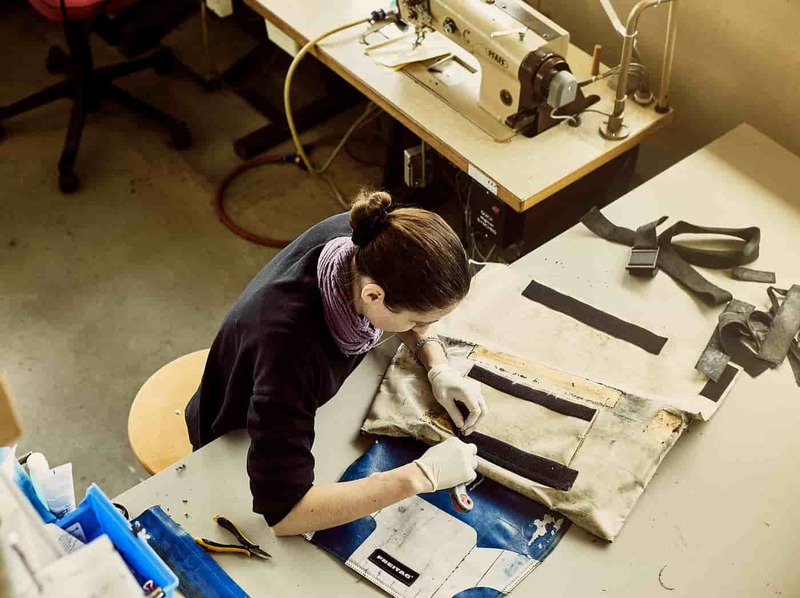 It’s no secret that we’ll repair your injured FREITAG bag. Less well-known is the fact that we can even give a new lease of life to old, holey favorite bags. Our tarp surgeon Morena spills the secrets of her stitch-ups for the very first time. 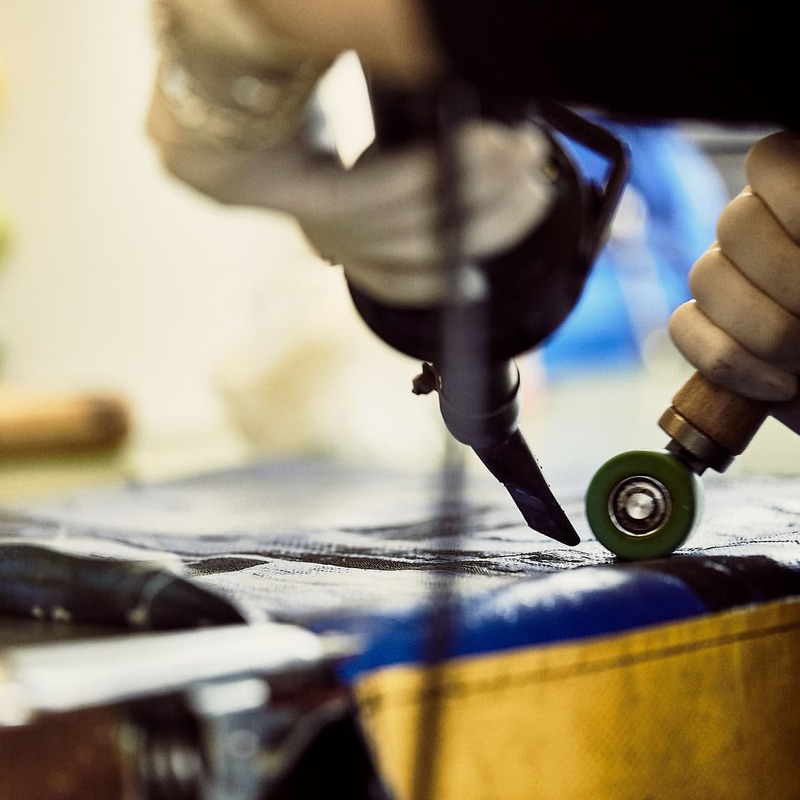 I used to repair coaches, Chesterfield chairs and classic cars – giving them a fresh set of clothes, so to speak. Now I weld tarps, fill holes with color, sew up corners and replace old inner tubes, logos, Velcro fasteners, seatbelt straps and Lockmonsters. 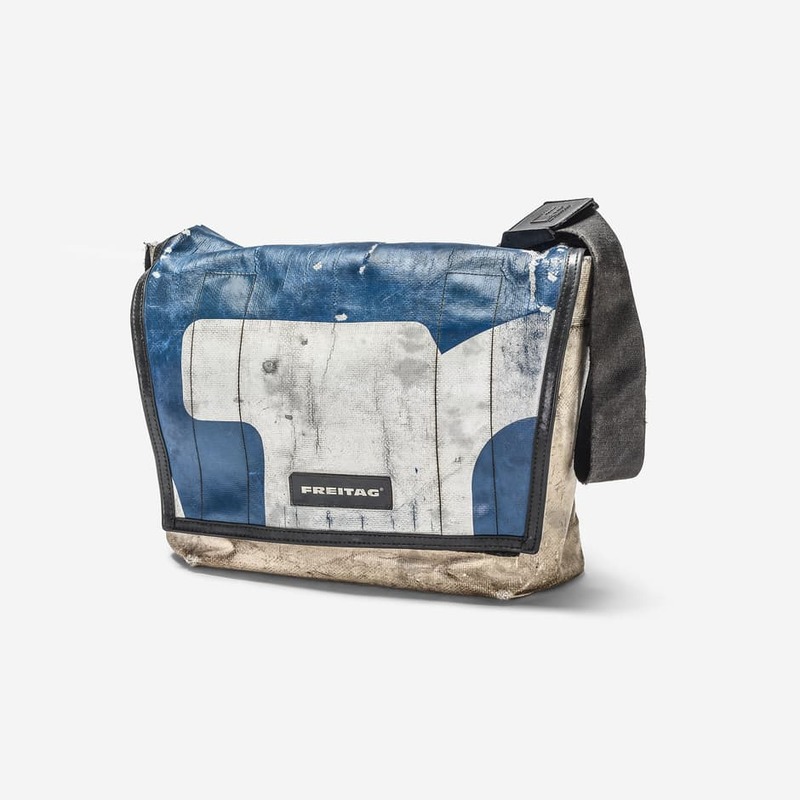 The FREITAG manifesto proclaims that “we repair”. Specifically, at our tarp HQ at Nœrd in Oerlikon. First floor, right-hand side. East entrance. 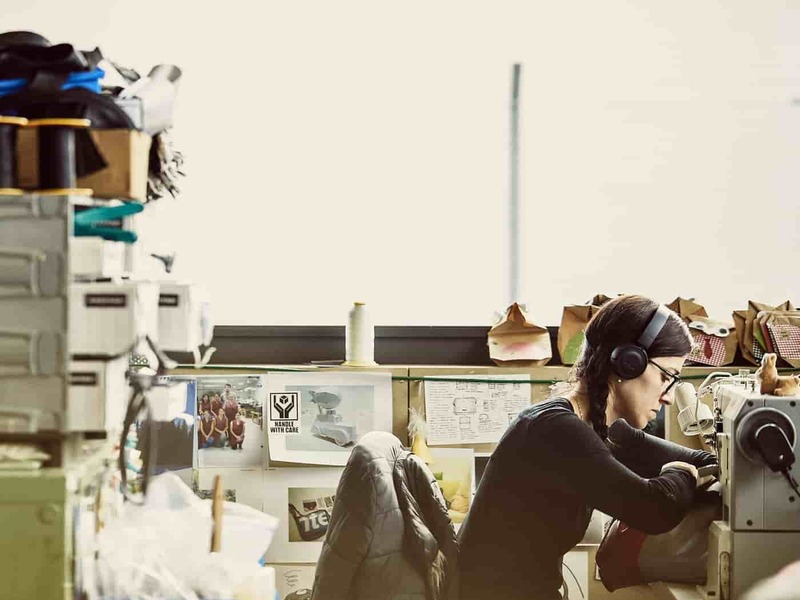 Here, in our repair studio, Manuela, Leonissa and Morena (that’s me!) get injured or elderly bags back on their feet with the help of customized emergency procedures. 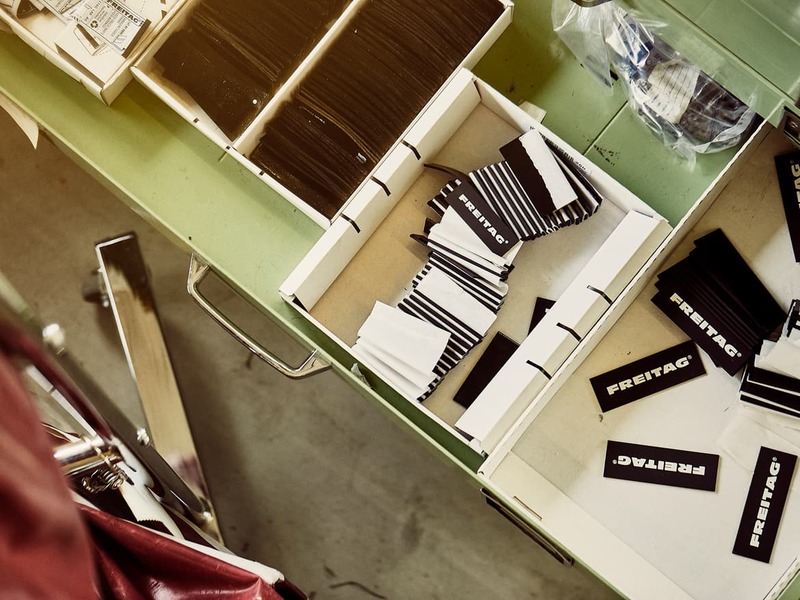 When I joined FREITAG 13 years ago, it was as a bag designer: my job involved cutting tarps. 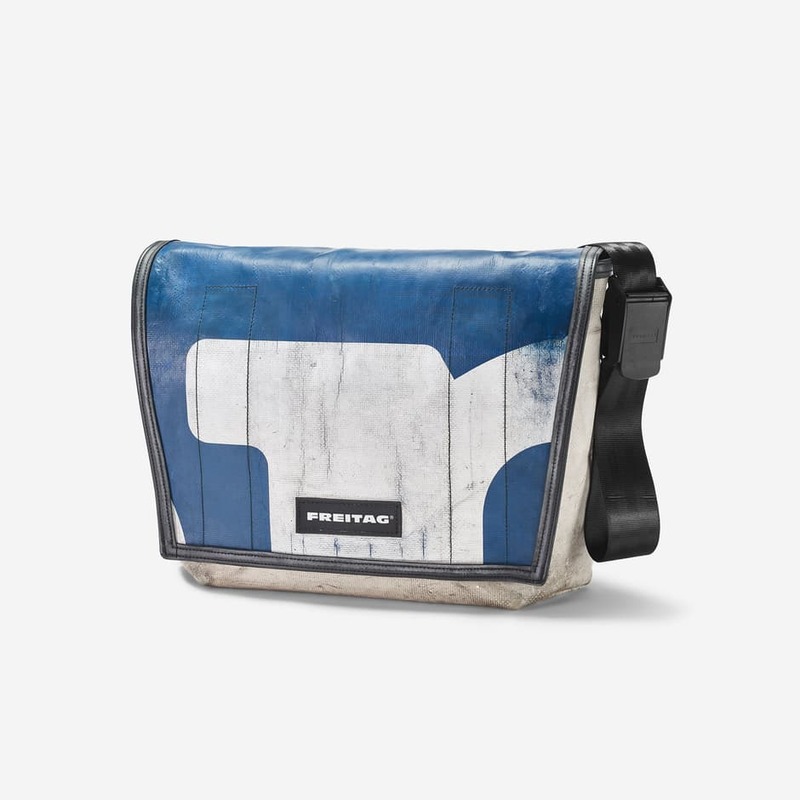 We’ve always patched FREITAG bags, but we used to do so by welding a patch made of new tarp on top of holes. Eventually, we tried sprucing up the old tarp instead. And at some point we got the hang of it and I joined the repair team, which then became the retarp team. We can usually achieve a lot – and bring a lot of joy to the bag’s owners – with paint, hairdryers and hand rollers. We rarely get a totally hopeless case, and when we do, it's usually a very old bag where the holes are too big and the tarp is too stiff and brittle. We used to get personal messages by ‘bag mail’ with little anecdotes about the unfortunate bag or how happy the owner was that someone was taking care of it. Sometimes we even found a little chocolate as a thank-you for our efforts. That was really nice. These days, everything runs a lot more smoothly thanks to the digital repair procedure – with the downside that we don’t get so much bag mail anymore. Smartphones can do a lot, but they can’t send handwritten notes and chocolate. 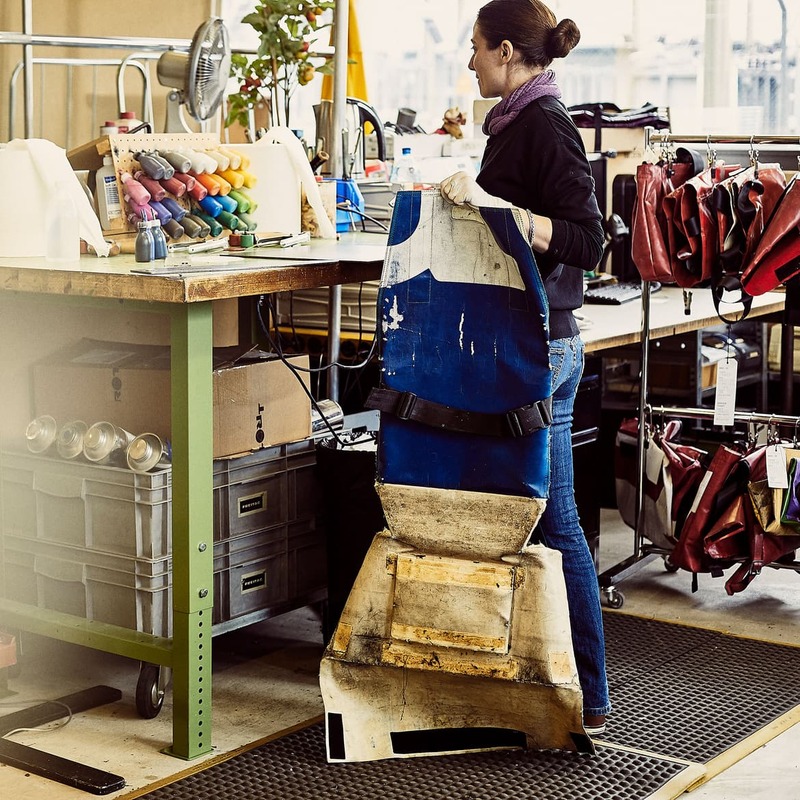 We never get bored – every bag is unique and is worn (and worn out) in a way as individual as its owner, which means we have to repair it individually too. And we’ll keep doing so here (and there*) – with surprise, with pleasure and with the production cycle in mind. 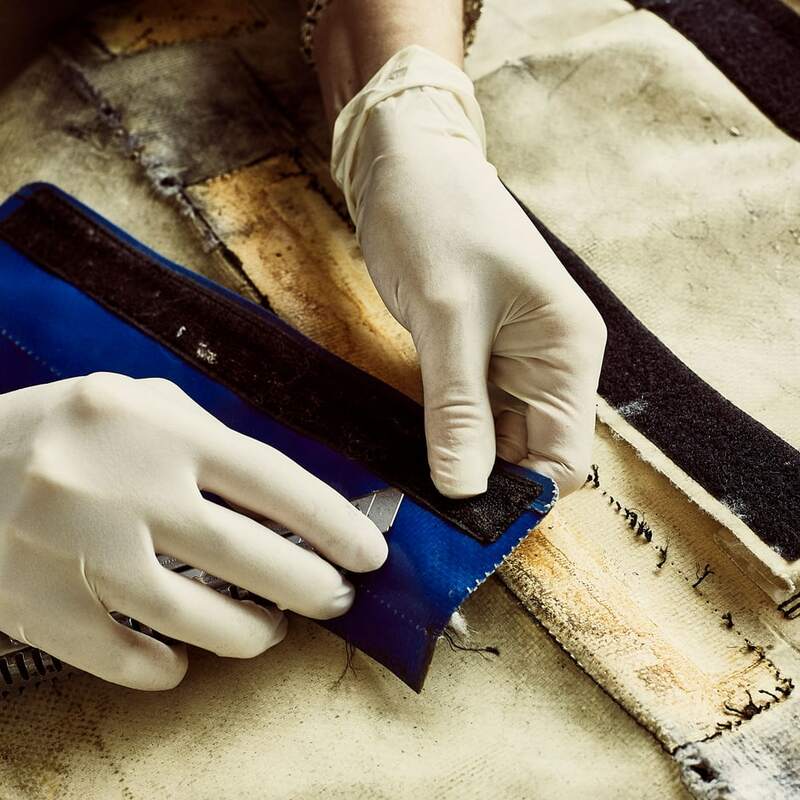 *It doesn't make much sense to send out an air ambulance for bags that get injured a long way from our tarp HQ, so Japanese bags are repaired at our FREITAG Store Tokyo Shibuya. And, so that the mountain of bags doesn't overwhelm us, we have two producers to assist us and prevent us from chaos. 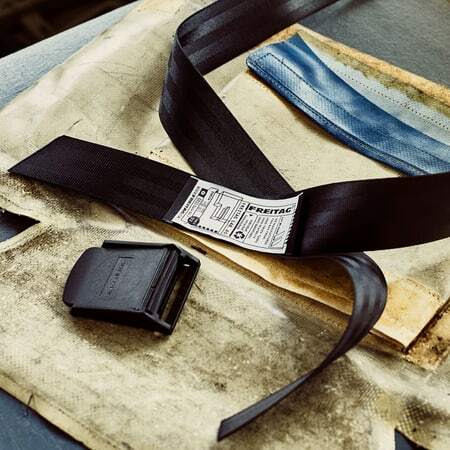 From free replacement parts such as straps and buttons for you to fit yourself, through small repair jobs without tarp surgery that we carry out for free up to three years after purchase, to the full F-bag overhaul service in which our tarp surgeons make your beloved bag as good as new: find out more about our customized emergency procedures here.